James Cullum Tredwell is an English international cricket player who was born on 27 February 1982 in Ashford, Kent, England. Tredwell’s role in the team is as an all-rounder who bowls right-arm off-break and bats left-handed. Owing to his excellency in close catching, he can often be seen in the slip cordon. Tredwell's father was a professional football player who played for Folkestone FC for a long period of time. Being a sportsperson, he raised James to be the same and coached him at Folkestone Cricket Club since his childhood. In the beginning of his professional career, James played three games for England Under-19 Cricket Team in 2001 and in the same year, Kent County Cricket Club signed a contract with him. Tredwell played his first first-class match for Kent against Leicestershire in July 2001 and claimed one wicket. His consistent performances earned a place for him in Kent’s one-day team as well and he played his debut one-day game in 2002 Benson & Hedges Cup. In the season of 2002, he featured in 19 matches for Kent and took 21 wickets at an average of 23.76. Tredwell's name was included in the ODI squad on 4 January 2008, but he did not get a chance to perform. In 2009, England again acquired him in the team as a cover for Graeme Swann but he still remained uncapped. On 2 March 2010, Tredwell finally made his international debut in an ODI against Bangladesh. He could not get any wicket in the match but finished his 10 over quota by conceding 52 runs. Tredwell also played in the Test match on the same tour. In his debut Test, he took 6 wickets in and also scored 37 runs in the first innings. Since debut, his presence in the team remained lukewarm but whenever he got an opportunity, he performed. Tredwell had installed himself as a key player till 2013. He played an ODI series against India in 2013 and took four wickets in the first game. As a result, England led the series by 1-0. Although England lost all other matches of the series but Tredwell performed pretty good. In the first game of the 2013 Champions Trophy, Tredwell took 1 for 51 in the first game as England beat Australia. In the semi-final against South Africa, he finished with 3-19 and led his team to the finals. 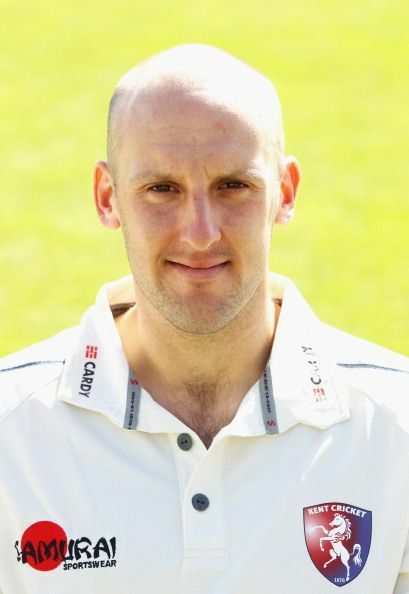 Tredwell is representing Kent in county club cricket since 2001 and remains its key player. He has also played for Sussex in 2014. His best domestic performance came in 2009, when he finished the season with 69 wickets at 26.63 including best figures of 8-66 against Glamorgan. In the county season of 2013, he was named Kent’s captain replacing Robert Key. During the period of his captaincy, he was regularly called up for international fixtures. As a result, he had to resign. Tredwell has played 45 ODIs and has 60 wickets to his name. His statistics are rather good in domestic cricket. In his total 177 first-class appearances, he has scored 4,728 runs and took 426 scalps. In List-A cricket, he has 275 wickets and 1,877 runs in 265 games. India vs England: the stakes!